Yes, folks, Tara may be gone with the wind (or more accurately, fire), but throughout the South you’ll find many a pre-war home still standing. Judging by the variety of coffee-table books and Pinterest boards on the subject, folks really enjoy looking at these not-so-humble abodes. But what’s better than ogling photos or casting admiring glances from across the street? Why, being invited inside, of course! For a fee, but still. During a spring pilgrimage, Southerners travel from far and wide for the opportunity to stroll the gardens and peek under the dust ruffles of these stately mansions. In all my years living in Mississippi, I can only recall taking a tour once, during which I was shown a “secret” dresser drawer wherein treasures could be stashed. I recall thinking, “Hey, my mom’s dresser has one of those!” Of course, one would be disappointed to discover that the “treasure” in Mom’s secret drawer consisted of birthday cards, old letters, and memorabilia. Her actual treasures? Well, she stored her jewelry in Band-Aid boxes tucked away deep in the cabinets. Sometimes hidden so well, she couldn’t find it herself. For my mom’s side of the family, the pilgrimage was a time to bust out the hoop skirts and tricorn hats and put on a show. I inherited my fondness for all things fancy from the Lucas’. Two of my mom’s siblings were antique dealers and almost all the rest were regular customers. Every family reunion had a touch of the estate sale feel. But with more casseroles and cake. For many years, my aunt Clara’s home Shadowlawn was part of the Columbus, Mississippi, pilgrimage tour, so naturally we were, too. 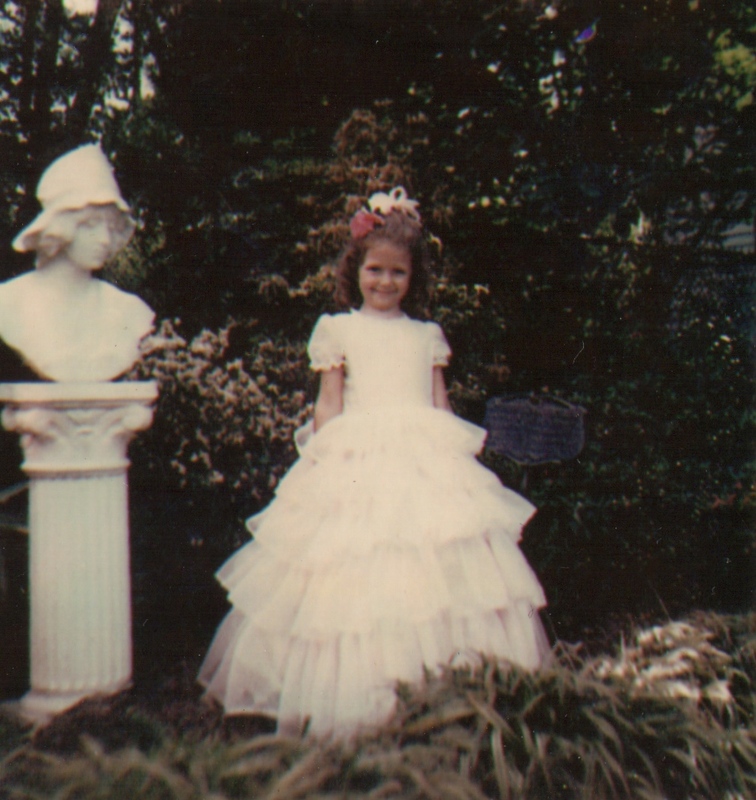 My sister and I stood on the front lawn greeting visitors with a smile, wave, and perhaps an occasional “Welcome, y’all!” Each of my mom’s siblings would be assigned a room and provided with talking points along the lines of “the antique Victorian half tester bed” or “this vahse…” (never “vase,” always “vahse”). During one particularly taxing day when my sister was around four or five, she climbed up on one of the beds and proceeded to nap. As the story goes, more than one tour taker was startled when Jenna moved saying, “I thought she was a DOLL!” Clearly, they do not know my sister like I do. 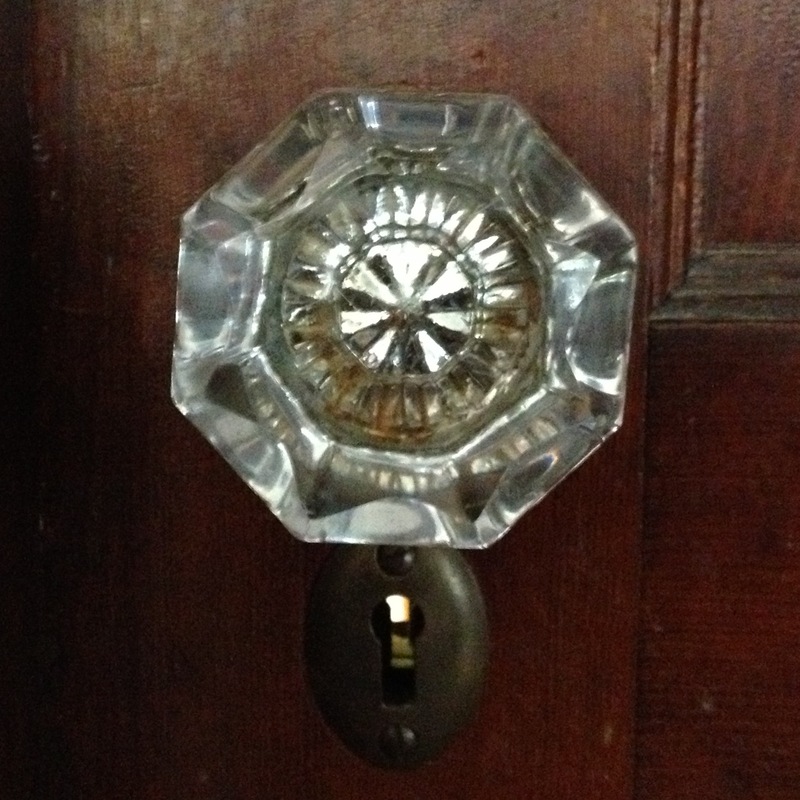 One of my favorite things about Shadowlawn was the glass doorknobs. As a kid, I told myself that one day I would live in a house with glass doorknobs. And now I do. My walnut vanity has not one but two hidden drawers. But I’ll most likely never own a vessel worthy of being called a “vahse.” Keeping it real, y’all. As I write this, more than two decades since my last visit to Columbus, I wish I had paid more attention as a kid. I wish I’d appreciated the opportunity for such a pilgrimage. These days, Shadowlawn is a bed and breakfast, so I could go back if I wanted to. But now that Mom and most of her brothers and sisters are gone, it just wouldn’t be a pilgrimage. In case you’re curious, it’s Spring Pilgrimage time in Mississippi. The Natchez Pilgrimage continues through April 9th and the Columbus Pilgrimage runs March 31 through April 13. Have you toured an antebellum home? What did you think? Please do tell. ← 126. Balls–Because Who Wants a Square Meal? What a lucky (and precious looking) little girl you were to have connections to a house on The Tour! I served as a docent a few times on the Marietta GA pilgrimage, but they weren’t fond of me because if I didn’t know the answer to a question, I would just make up something. Hope, love it! At least 50% of the information imparted by any tour guide anywhere is made up on the spot. Much like the preceding statistic. These photographs are treasures themselves. One wonders if the idea of Tilda Swinton’s performance art (“The Maybe,” at MoMA) might have been inspired by Jenna’s nap. Thanks, Hippie, now I’m wondering that myself. Just looked up photos of “the maybe” and they’re eerily similar. No offense to Tilda, but Jenna looked way cuter. Jenna, glad to offer a reminder of a tale that makes you feel as cute as you are! When I’m home, I’m going on a photo hunting expedition, seeing as I have so few family pics. I love pilgrimage time! 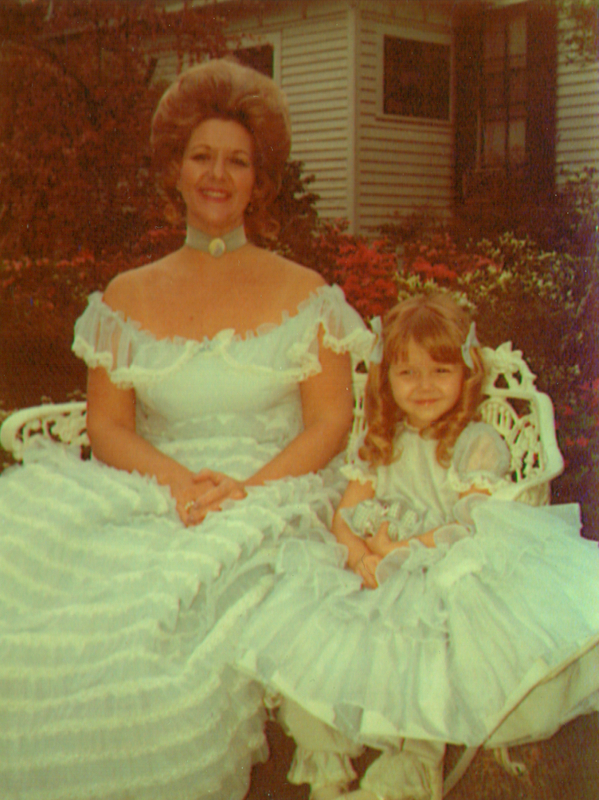 I’ve been to the one in Natchez (love their pageant!) and the one in Columbus. There is a new part, done by the MS School of Math and Science, where students study people buried in Friendship Cemetery and make a monologue about them. It’s super fun. The goth 17 year old who still lives inside me would so LOVE to do the Friendship Cemetery bit!